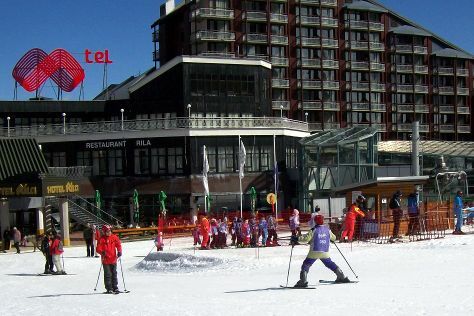 The oldest ski resort in Bulgaria, Borovets today serves as a popular modern destination for winter holidays. Start off your visit on the 22nd (Wed): hit the slopes at Yanakiev Ski and Snowboard School and then take in the awesome beauty at Borovets Ski Resort. To find where to stay, reviews, maps, and tourist information, use the Borovets trip itinerary builder. Berlin, Germany to Borovets is an approximately 7-hour flight. The time zone changes from Central European Time to Eastern European Time, which is usually a 1 hour difference. Finish up your sightseeing early on the 22nd (Wed) so you can go by car to Plovdiv. 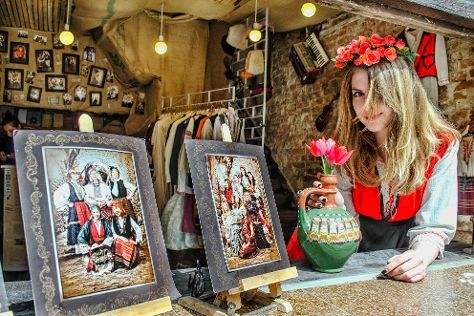 Though it is often seen as merely a stopover city, Plovdiv is actually a lively university town with bohemian cafes, a thriving art scene, and exciting nightlife. On the 23rd (Thu), don't miss a visit to Ancient Stadium of Philipopolis, get engrossed in the history at Regional Natural History Museum of Plovdiv, see the interesting displays at Ethnographic Museum, examine the collection at Art Gallery Philippopolis, then delve into the distant past at Plovdiv Roman Theatre, and finally enjoy some diversion at Retro Photo Old Plovdiv. For more things to do, reviews, other places to visit, and other tourist information, you can read our Plovdiv vacation builder. Getting from Borovets to Plovdiv by car takes about 1.5 hours. Other options: drive; or take a bus. In February, daytime highs in Plovdiv are 9°C, while nighttime lows are -1°C. Cap off your sightseeing on the 24th (Fri) early enough to go by car to Bansko. 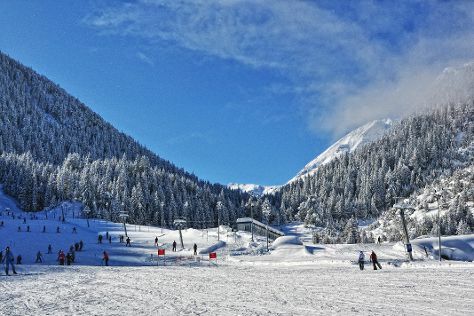 Boasting the longest ski runs in the country, Bansko offers one of the best ski resort locations in Bulgaria. On the 24th (Fri), make a trip to Pirin Street, then have some family-friendly fun at Bansko Ice Rink, and then hit the slopes at Ski Bansko. To see where to stay, reviews, photos, and other tourist information, go to the Bansko trip builder. Traveling by car from Plovdiv to Bansko takes 2.5 hours. Alternatively, you can drive; or take a bus. Cap off your sightseeing on the 24th (Fri) early enough to go by car to Sofia. Sofia is known for sightseeing, religious sites, museums, fun & games, and nightlife. Your plan includes some of its best attractions: admire the landmark architecture of Cathedral Saint Alexandar Nevski, test your team's savvy at popular escape rooms, let your taste buds guide you at a local gastronomic tour, and take in the awesome beauty at Vitosha Mountain. To see other places to visit, ratings, maps, and other tourist information, you can read our Sofia vacation planner. Drive from Bansko to Sofia in 2 hours. Alternatively, you can drive; or take a bus. In February, daytime highs in Sofia are 7°C, while nighttime lows are -4°C. Finish your sightseeing early on the 27th (Mon) so you can travel back home.